Pioneer's latest NEX receivers are satellite radio-ready. Which means you are just a tuner away from enjoying ad-free music on your new car stereo. 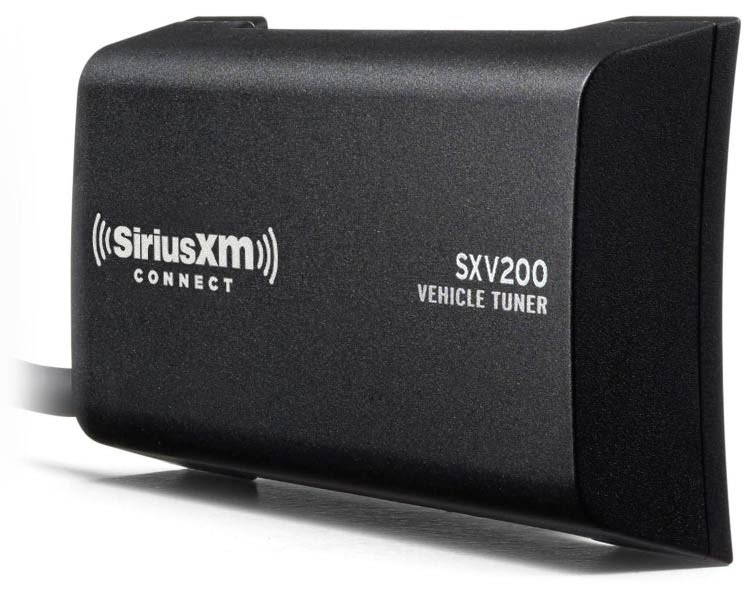 The SiriusXM Connect Vehicle tuner is what you'd need and it's a sweet addition for music lovers. For years we've been hoping for the SiriusXM smartphone app to add AppRadio Mode compatibility but it never happened. You can still stream satellite radio tunes to your AppRadio but you don't get a dedicated, touchscreen enabled interface with it. None of the AppRadios have SiriusXM tuner connection capability. But Pioneer's new NEX receivers do. 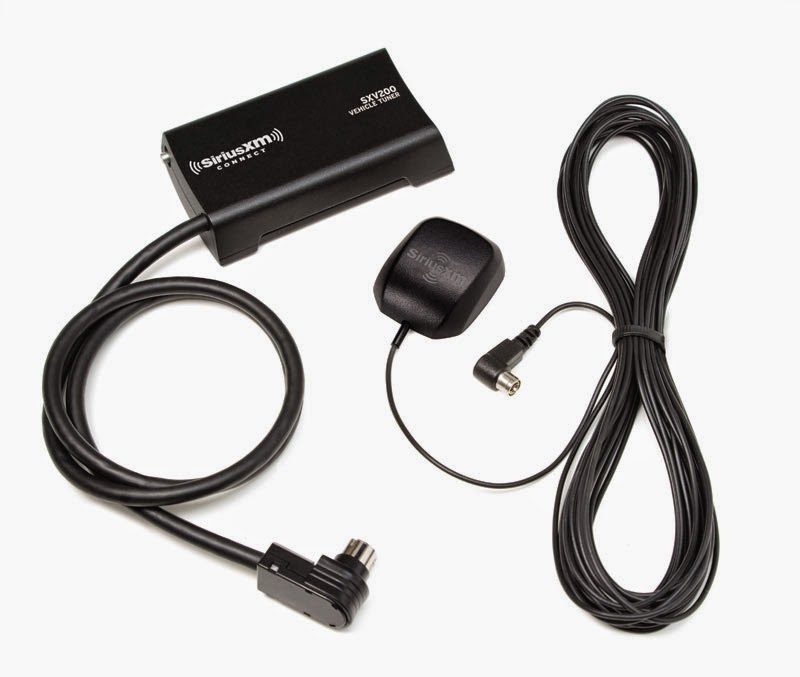 The SXV200 (Model number: SXV200V1) connects to the NEX receivers and has a dedicated interface on the head unit. On there you get track and station information, your favorite lists, etc. Check out the video at the bottom of this post. You will need a SiriusXM subscription to go along with the tuner. As you can see from the pricing information below, paying upfront for a longer term of service is cheaper than going month-to-month. 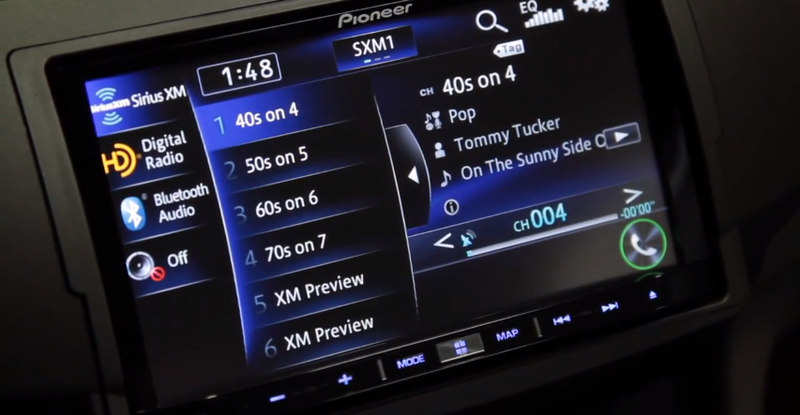 The tuner comes with new SiriusXM Xtra Channels too. 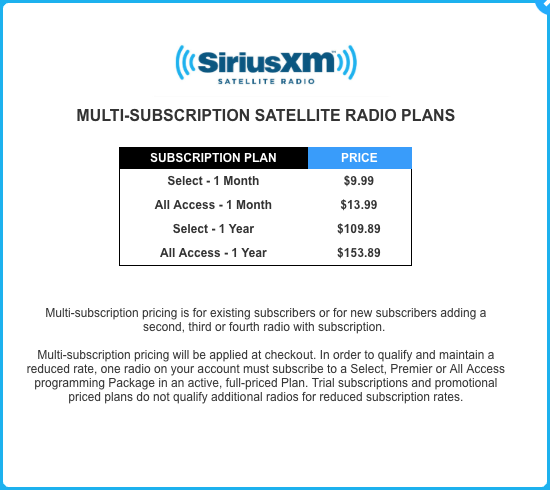 SiriusXM is also running their "Never Miss a Beat" promotion where you can avail of 3 months free all access service when you purchase and activate an eligible tuner. Full details on that are here.